Hours: 07:00 to 19:00, after hours there is a notice on the door with our mobile contacts. Guests who know that they will be arriving after hours can call us prior for the safe code. Explore the picturesque coast, clear beaches and rugged gorges. Kalbarri is the perfect spot to see dolphins and whales, surf the breaks and fish all year round. The sunny climate makes this ideal escape perfect for any season. Kalbarri Edge Resort is the perfect place to unwind and relax after exploring the local sites. Lounge in your comfortable, smartly-appointed room, laze in the sun by the pool or partake in a giant game of chess. With a fully licensed a-la-carte restaurant, cocktail bar and DVD library, there is something for everyone to make your stay comfortable. Whether it's a family vacation, couples getaway, or single's escape, our friendly hospitality and relaxed atmosphere will ensure that you have an unforgettable stay. Our restaurant is open daily from 7am for breakfast (until 9am Monday to Friday and until 9.30am on weekends and Public Holidays) and Monday to Saturday from 6pm for dinner. We serve fresh locally sourced produce with the freshest of WA seafoods including Kalbarri Snapper, Shark Bay cockles, calamari, crab, prawns, tuna and scallops. AAA 4.5 star star luxury accommodation offering two bedroom spa apartments, executive spa suites and studio rooms. The Spa Suites and Studios interconnect to form a 2 bedroom spa apartment. The Spa and 2 bedroom apartments have spacious decks and living areas. 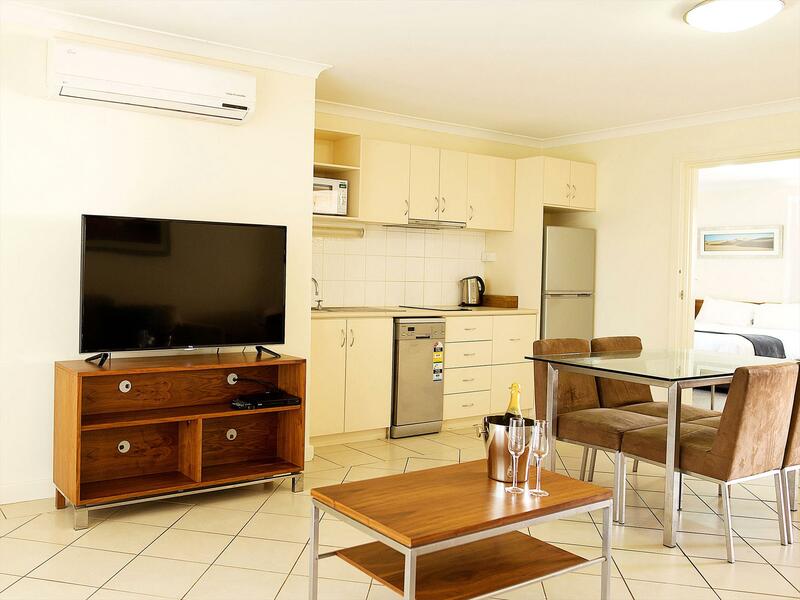 King bed, large corner spa, kitchen with dishwasher, laundry, private balcony with BBQ, large screen TV, foxtel, wireless internet, cots FOC. 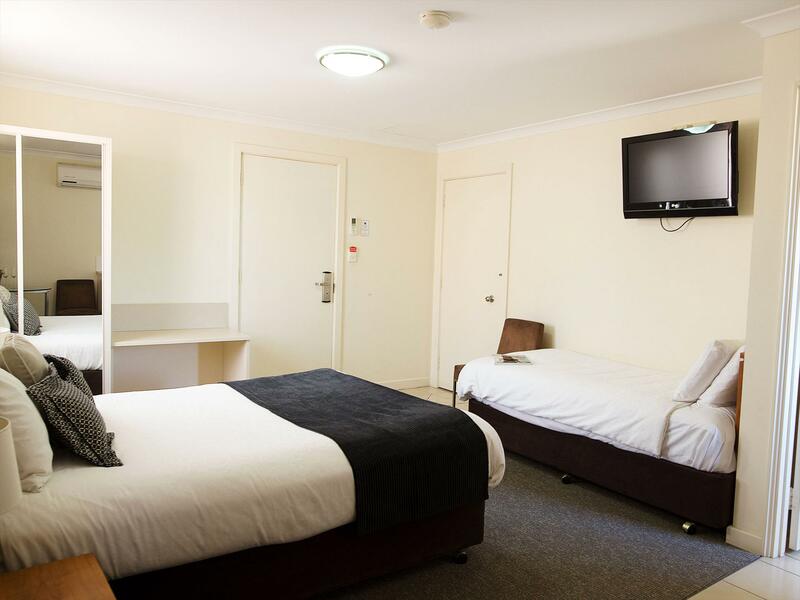 Queen bed, single bed, microwave, flat screen TV, foxtel, wireless internet. One king bed, queen bed & single bed. Cot FOC. 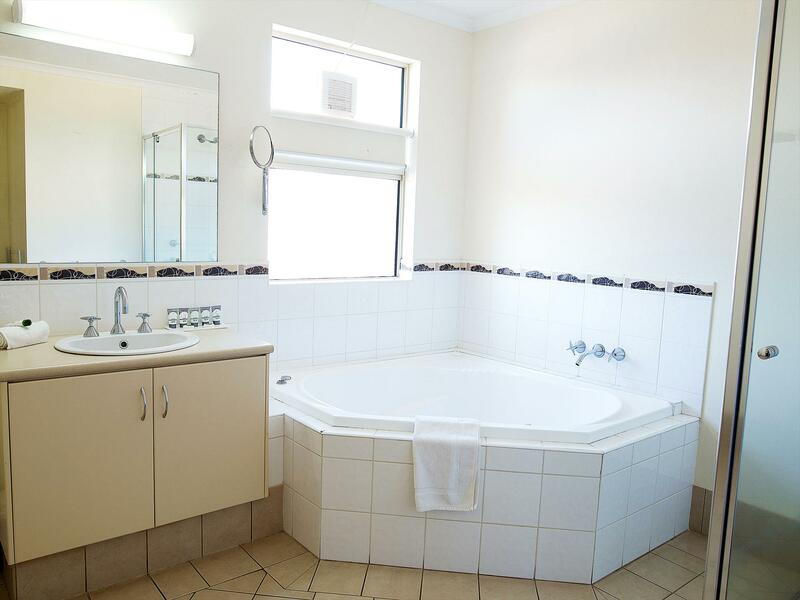 Kitchen with dishwasher, large corner spa, laundry, large flat screen TV, foxtel, balcony with BBQ, wireless internet. 1x King bed 1x Queen bed 1 x Single bed. Family Holiday Sale 3 nights for 2 adults and up to 2 kids for less than half price! 2 Bedroom Spa apartment includes a bottle of wine on arrivaland a $50.00 dinner voucher for use in our restaurant,(The Edge, Monday to Saturday evenings.) Cot FOC, Kitchen with dishwasher, large corner spa, laundry, large flat screen TV, foxtel, balcony with BBQ, wireless internet. (please note this is an interconnecting room) Room service is every 3rd day only, daily service available at an extra charge. Please review the Kalbarri Visitor Centre Terms and Conditions prior to completing your booking https://www.kalbarri.org.au/terms DEPOSIT CANCELLATION AND REFUND POLICY Cancellation of bookings made wholly or partially in Low Season: During Low Season a deposit for the first night of the stay (excluding extras) must be received when making a booking. Deposits will be refunded in full if the Resort is notified of your cancellation 48 hours prior to your scheduled arrival. If notice of your cancellation is received within 48 hours of your scheduled arrival before your scheduled arrival the Resort will retain all of the standard deposit money. Any additional money which has been paid will be refunded. Deposit and cancellation of bookings made wholly or partially in High Season: During High Season a deposit for the first night of the stay (excluding extras) must be received when making a booking either by credit card direct deposit or cash payment. THE BALANCE OF PAYMENT FOR HIGH SEASON BOOKINGS MUST BE RECEIVED 60 DAYS PRIOR TO THE SCHEDULED DATE OF ARRIVAL. Deposits for reservations made wholly or partially in High season will only be refunded if you notify BEST WESTERN PLUS Kalbarri Edge Resort of your cancellation at least 60 days prior to your scheduled arrival. If you provide less than the required period of notice of cancellation your deposit will only be refunded if the category of accommodation that you booked is able to be resold for the entire period of the booking. A $55 booking centre cancellation fee applies to all cancelled bookings and will be retained by Kalbarri Visitor Centre.